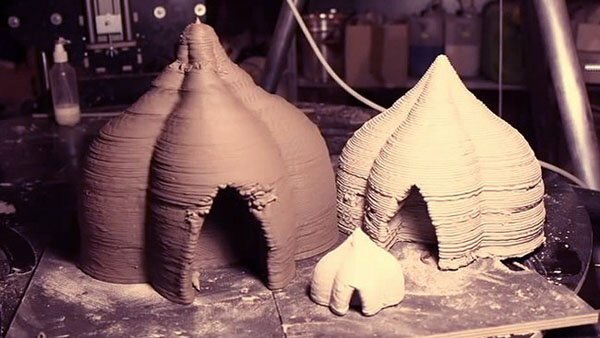 It may seem like the ultimate paradox to shoot mud out of a state-of-the-art 3D printer to build habitable structures, but that’s the premise behind this remarkable company, which has financed these early experiments entirely from the sale of its commercial printers. 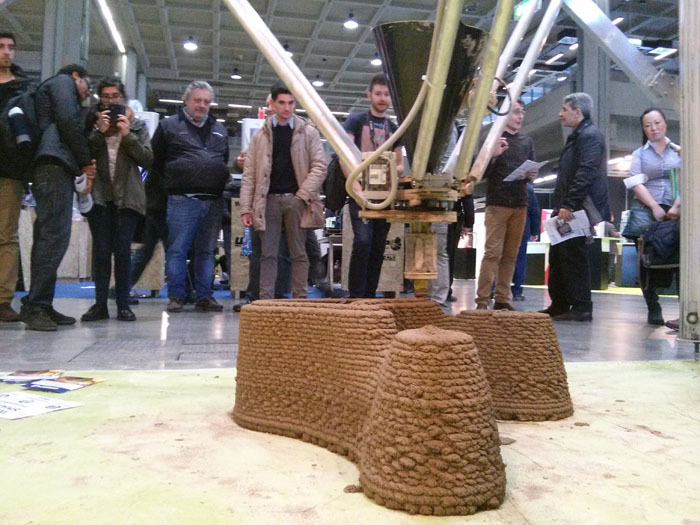 Can the problem of affordable housing in developing nations be solved with mud and machine? This unlikely solution is being proposed by World’s Advanced Saving Project (WASP), an Italian company that focuses on manufacturing 3D printers with a specialization in ceramic and porcelain. But for WASP, it’s not just about selling cutting-edge machines: they believe in using open source technology to create sustainable development solutions, and using one of the oldest materials known to humans: mud. WASP’s foray into low-cost housing made from ultra-local materials began when CEO Massimo Moretti had an inspirational moment watching a potter wasp gradually build its nest out of mud, realizing that humans, too, could do the same. But in this age of high-tech homes, why would we want to build houses out of mud? Despite the emergence of smart homes and the Internet of Things, these are luxuries for the affluent, and unnecessary for most of the human population, for whom shelter is still something basic. Moreover, regardless of locale, the global housing industry has yet to shed its reputation for its resource-intensity, inefficiency, wasteful practices, expensive transportation of materials and high labour costs. These facts are even more starkly true in the developing world, where many ordinary people may build ad-hoc structures from whatever materials are at hand, if they are not able to afford conventional housing. In contrast, soil is an abundant and free material found pretty much anywhere, and has been used for millennia by humans to build incredible structures. And if part of tackling the housing problem means building with materials that are found locally, it doesn’t get much more “local” than the soil found right on-site of a potential dwelling. But building with earth is time-consuming and labor-intensive. There are various methods to go about it, depending on what is desired as the final product (earth bricks, cob, adobe or rammed earth), each requiring excavation, sifting, mixing, shaping, curing for several weeks, and so on. 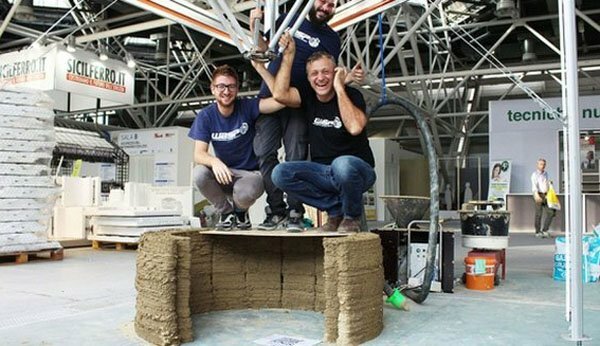 But that’s where WASP’s 3D mud printer, the BigDelta, would be instrumental in reducing the production time and labor costs needed to construct cost-effective mud homes wherever they might be needed. 3D printing is a technology that offers several advantages. 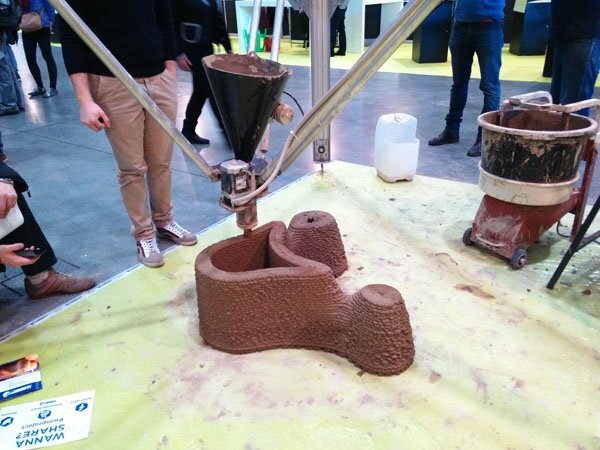 Implementing it with old and polluting materials such as traditional cement could lead to an exponential degeneration: tens of houses could be built in just one day and the potential of 3D printing could be exploited for speculative ends. We need to pay very close attention to the kind of research we want to take forward. In addition to developing what they believe is an innovative and revolutionary new extruder, the team is also experimenting with combining weed seeds into their earthen substrates to reduce potential shrinkage, while providing extra structural stability. The idea is for the seeds to absorb humidity from the mud material, and then, their eventual root growth would be a way to reinforce the mud structure, essentially “armoring the house from the inside.” It’s an intriguing idea that is in harmony with nature’s tendencies. So far, the team is focusing on invasive species like Bermuda grass, but specific seeds would be selected according to whatever would work in the local climate. This innovative project could be the answer to make mud materials more accessible and less time-consuming to build with. Of course, it will require more inter-disciplinary research, cooperation and innovation between 3D printing experts, architects, planners, scientists and local governments, but the impetus and need is certainly there. In an increasingly urbanizing world population that has much of its people living in unsafe, informal shanty structures, the potential for creating truly sustainable habitats on a massive scale — out of natural materials and with open source technology — is an inviting one. Find out more over at WASP.